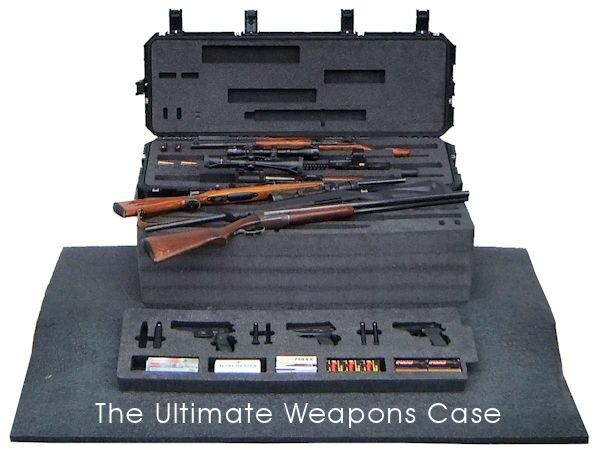 Versatile, waterproof, shock resistant cases for hunters, sportsmen, professionals and marksmen. 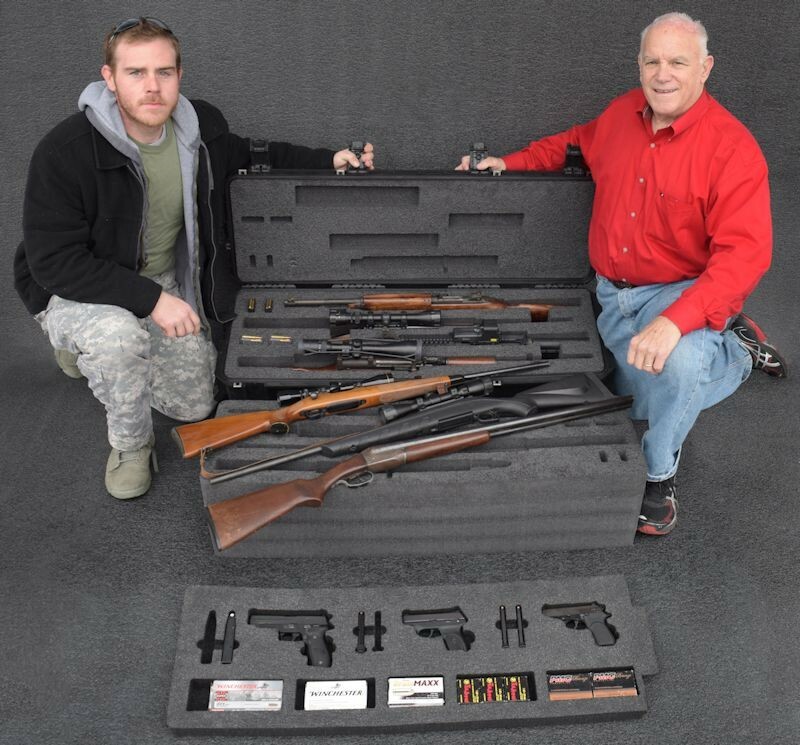 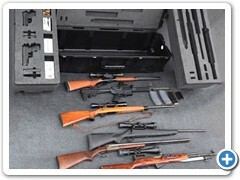 Carry, transport, ship, and store your firearms securely, dry, and damage free. 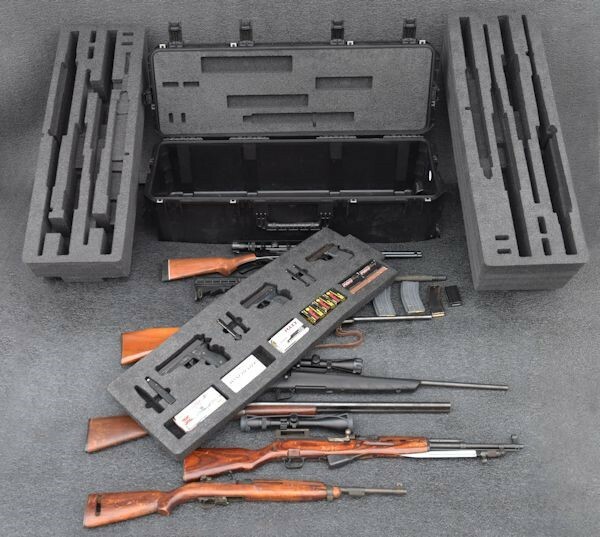 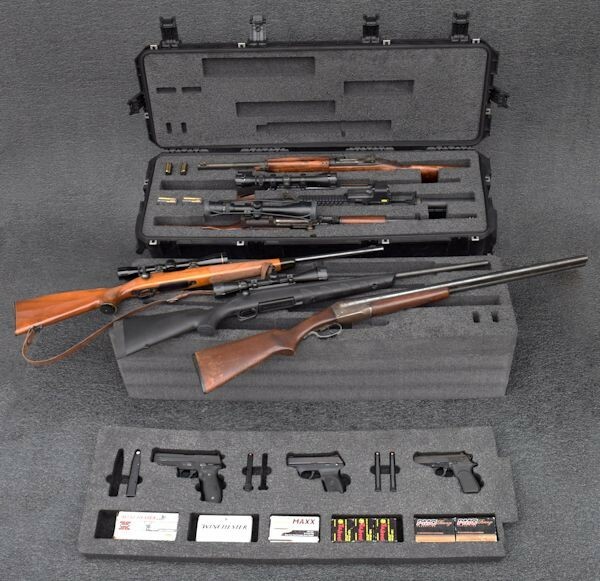 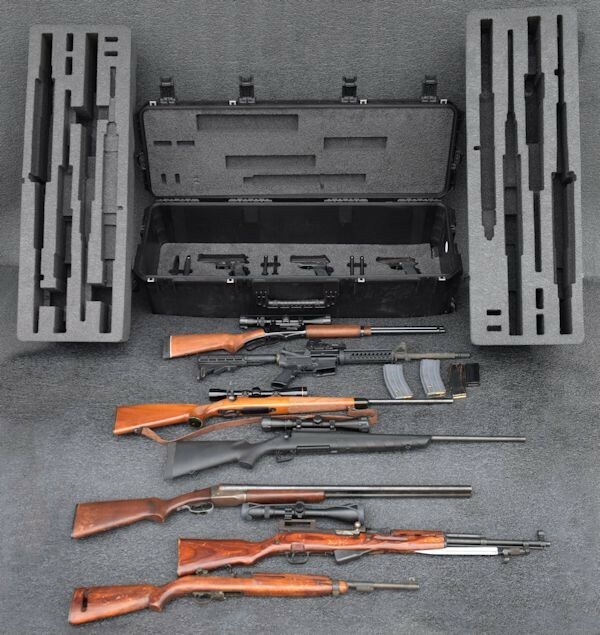 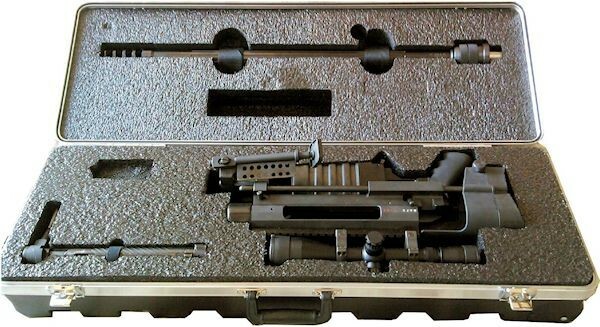 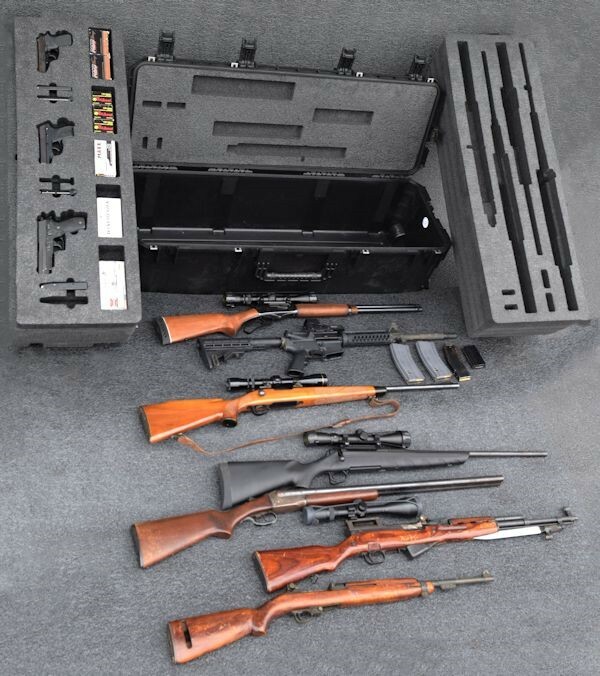 Omni produces firearm cases with virtually indestructible outer shells and custom machined foam compartments inside. 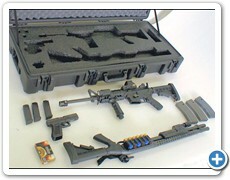 The unique custom foam inserts are fabricated with the assistance of computer aided design and manufacturing (CAD/CAM). 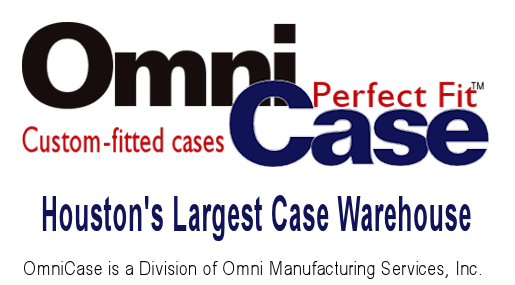 This process developed by Omni, provides precision fit and uniform tolerances. 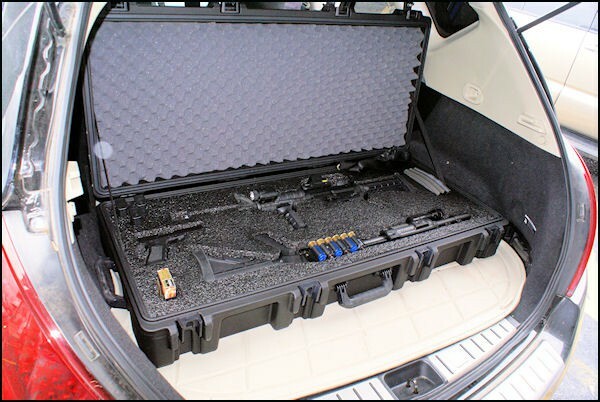 The combination of Omni's air/water tight and dustproof cases with precision fitted compartments, offer unparalleled protection in transport, shipping and storage solutions. 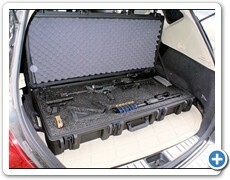 Protect your investments from shock, vibration, corrosion, extreme conditions, dirt and grit. 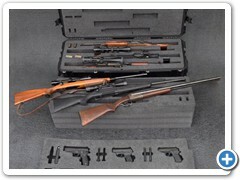 The barrels, stocks and grips of rifles, handguns and shotguns, and accessories such as scopes and other optic devices are safeguarded by the fitted foam cavities. 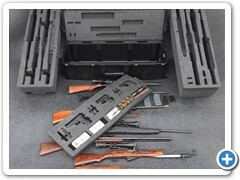 Get top-shelf protection and transportability for your valuable weapons. 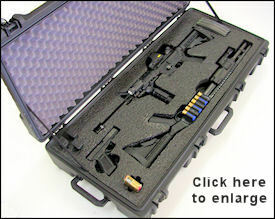 Call Omni today to get additional information and ordering details. 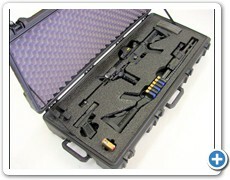 Omni's custom tailored case inserts virtually eliminate movement and shock for your guns and accessories. 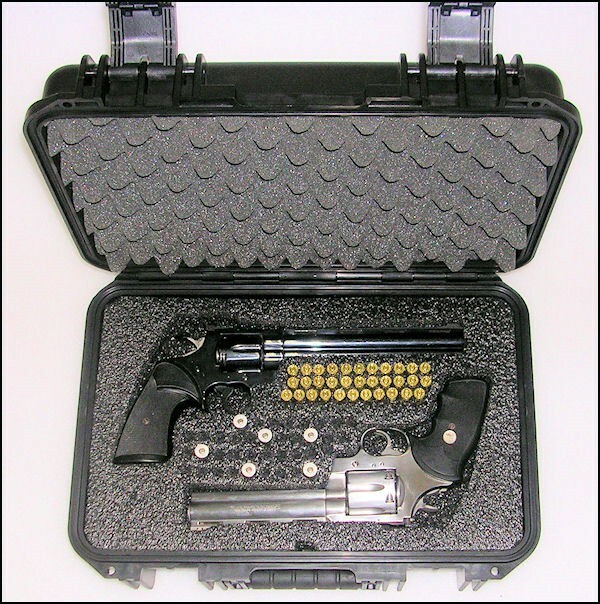 The convoluted egg-crate foam lid liner guarantees a snug fit when the case is closed and latched. 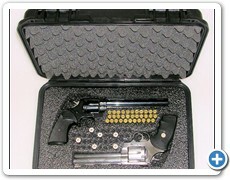 It's important to note that Omni inserts are interchangeable. 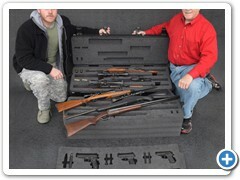 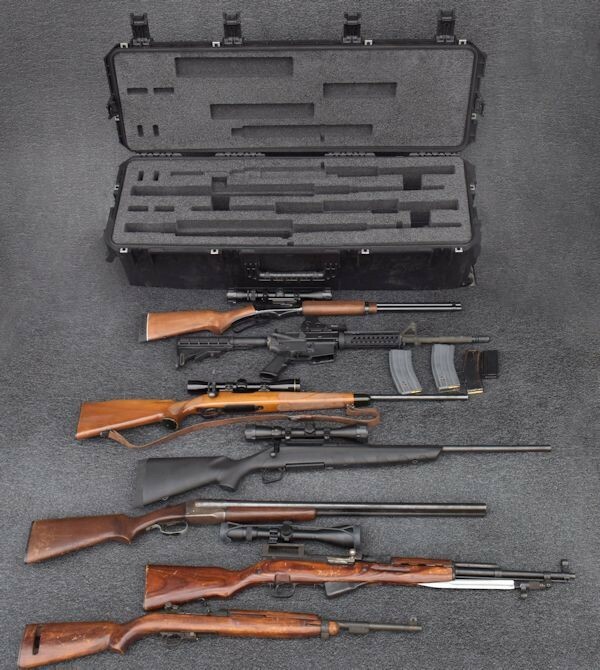 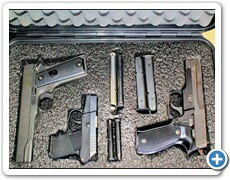 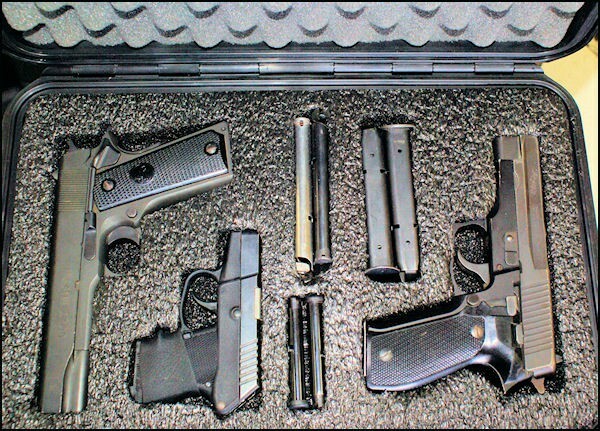 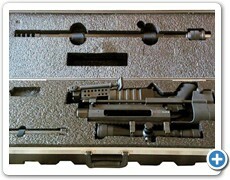 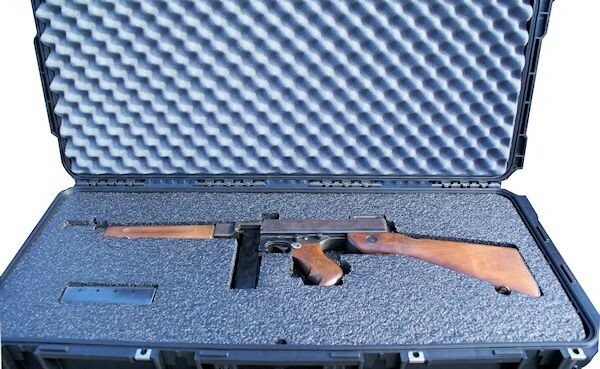 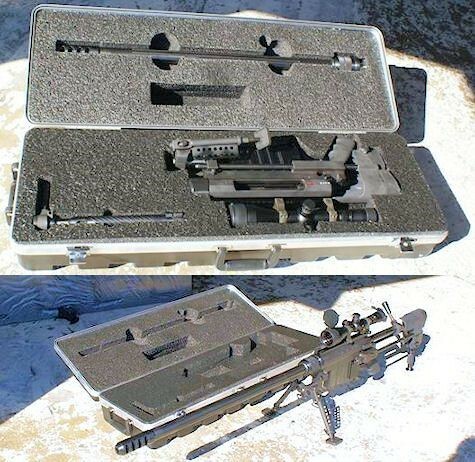 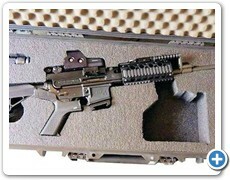 Should you decide to purchase new firearms or have a multi-purpose case, simply order an additional insert. 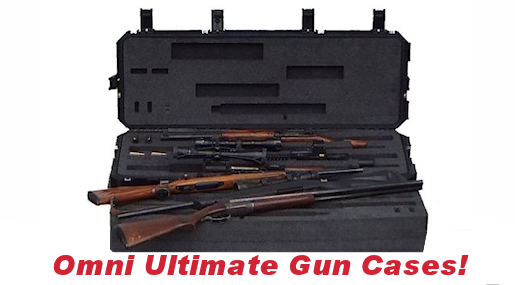 No more worry about damage to your guns and weapons while traveling rough back roads and terrain to remote destinations. 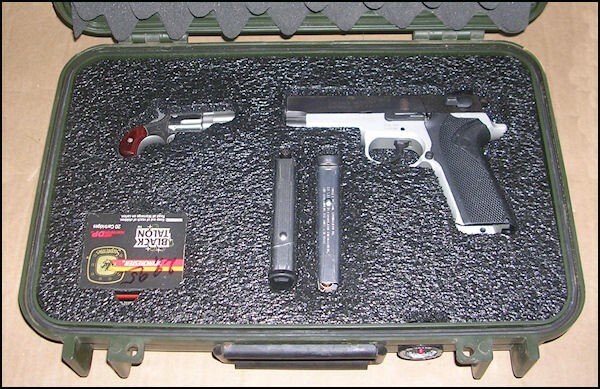 When you have to ship by freight or deal with careless baggage handlers at the airport, your equipment will arrive safely. 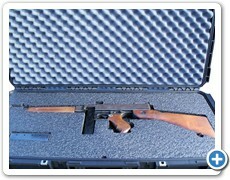 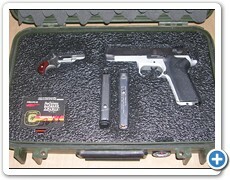 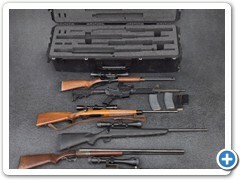 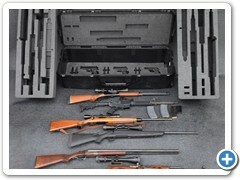 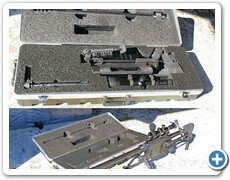 Omni cases are used to protect firearms and weapons of professionals, hunters, marksmen and collectors. 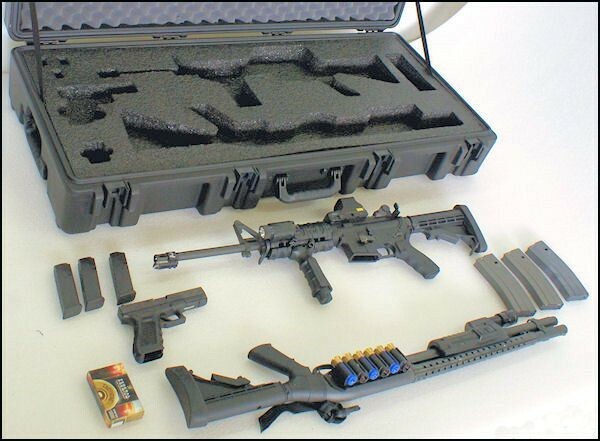 With OmniCase the possibilities are endless!